In the late-18th century, European and American trade and travel into the North American continent’s interior was largely by water. Merchants used canoes to trade with the tribes for the continent’s most valuable natural resource: furs. Eastern and central North America had many navigable rivers. For western traders, finding a great western river became an obsession for fur traders and scientific and government expeditions. The first non-Indian to encounter and identify the river was Spaniard Bruno de Heceta. In August, 1775, Heceta mapped what he called Cape of Saint Roc and Leafy Cape, respectively. He attempted to cross the bar under full sail, but was unable to do so. In 1778, the great British navigator Captain Cook sailed by the river in the night. While he did not find Heceta’s river, his expedition traded for otter furs. 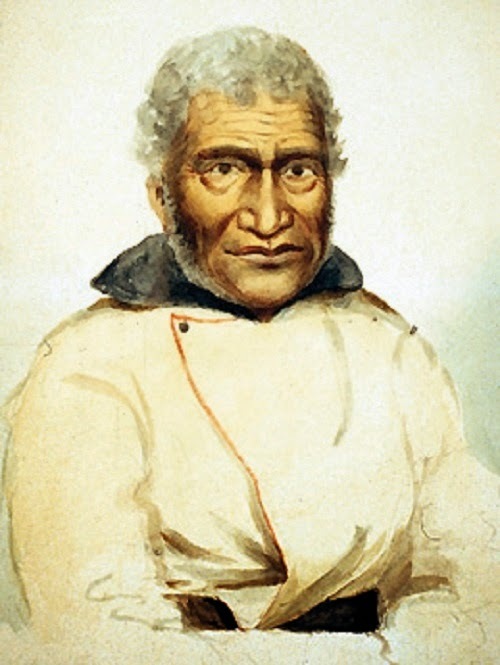 Cook was killed in Hawai‘i early the next year, but his ships carried the furs to China where they discovered a lucrative trade market with the Chinese. The reports of a potentially trade between western North America and China would spur traders from all nations to the West Coast. In April, 1792, British naval expedition Captain George Vancouver passed by the river mouth and noted muddy water flowing into the sea. Noting the sand island and waves breaking on the bar, he discounted the entrance as the mouth of a small river as it looked like most of the rivers emptying into the Pacific north of San Francisco. On the morning of May 11, 1792, American merchant Captain Robert Gray sailed across the bar and into the Columbia River estuary, the first documented non-Indian to do so. That was the river’s discovery via sea; by land, after acquiring the ‘Louisiana Purchase’ in 1803, under the directive of President Thomas Jefferson, the Lewis and Clark Expedition, also known as the ‘Corps of Discovery Expedition’ (1804–1806,) was the first transcontinental expedition to the Pacific coast undertaken by the US. The Lewis and Clark Expedition would have an immediate effect on American interest in the Northwest. Fur baron John Jacob Astor was excited by the expedition’s success in recording the lands, resources and peoples. Astor sought to create a global network of land and sea transportation for fur pelts, goods, information and services between China, Russia, Europe, the American east coast and the mouth of the Columbia River. In June, 1810, Astor and others signed articles of agreement of the ‘Pacific Fur Company.’ They hoped to best the flourishing Northwest Company (who travelled by land,) which was a most powerful concern, by having a great depot at the mouth of the Columbia, in other words, by using the sea. One of the vessels selected for the pioneer voyage was the ‘Tonquin,’ under the command of Captain Jonathan Thorn. Before getting to the American Northwest, they supplied at Hawai‘i. They were unable to secure either water or provisions on the Island of Hawaii; on February 21, 1811, Thorn anchored the Tonquin off Waikiki. Here he met Kamehameha I and paid Spanish dollars for hogs, several goats, two sheep, a quantity of poultry and vegetables. Needing additional manpower, Canadian partners aboard the Tonquin proposed to enlist thirty or forty native Hawaiians, because they had never seen watermen to equal them, not even among the voyageurs of the Northwest. “Remarkable for their skill in managing light craft and able to swim and dive like waterfowl,” were the words used in describing the Hawaiians. Thorn objected to a large number; twelve were signed for the company and twelve for the ship. The trade-men were to serve three years, were to be fed and clothed and at the end of the term were to receive $100 in merchandise. On February 28, 1811, the Tonquin sailed for the Northwest coast, and March 22, 1811, arrived off the mouth of the Columbia, where they encountered heavy seas. Thorn sent out several boats to find the river channel; two of them capsized and eight men died. One of the men was a Hawaiian. In 1811, Astor’s Pacific Fur Company established Astoria, the first non-native trading post and settlement at the mouth of the Columbia River. The Astor expedition to the Columbia-Pacific region would also be responsible for opening up the key overland route for western settlement in years to come.